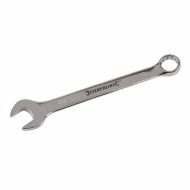 10mm combination spanner. One end open, box / ring at the other. Chrome vanadium. Drop-forged, hardened and tempered. High quality polished finish. 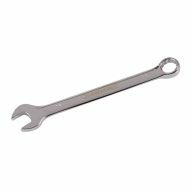 11mm combination spanner. One end open, box / ring at the other. Chrome vanadium. Drop-forged, hardened and tempered. High quality polished finish. 12mm combination spanner. One end open, box / ring at the other. Chrome vanadium. Drop-forged, hardened and tempered. High quality polished finish. 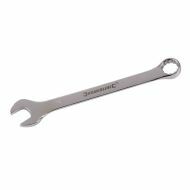 13mm combination spanner. One end open, box / ring at the other. Chrome vanadium. Drop-forged, hardened and tempered. High quality polished finish. 14mm combination spanner. One end open, box / ring at the other. Chrome vanadium. Drop-forged, hardened and tempered. High quality polished finish. 15mm combination spanner. One end open, box / ring at the other. Chrome vanadium. Drop-forged, hardened and tempered. High quality polished finish. 16mm combination spanner. One end open, box / ring at the other. Chrome vanadium. Drop-forged, hardened and tempered. High quality polished finish. 17mm combination spanner. One end open, box / ring at the other. Chrome vanadium. Drop-forged, hardened and tempered. High quality polished finish. 18mm combination spanner. One end open, box / ring at the other. Chrome vanadium. Drop-forged, hardened and tempered. High quality polished finish. 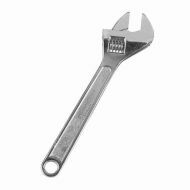 19mm combination spanner. One end open, box / ring at the other. Chrome vanadium. Drop-forged, hardened and tempered. High quality polished finish. 20mm combination spanner. One end open, box / ring at the other. Chrome vanadium. Drop-forged, hardened and tempered. High quality polished finish.